But once you’ve made a hit movie, now comes the real hard part: the studio (in this case Universal) wants you to quickly crank out another one. And that’s exactly what happened with Peele’s follow-up, “Us”. 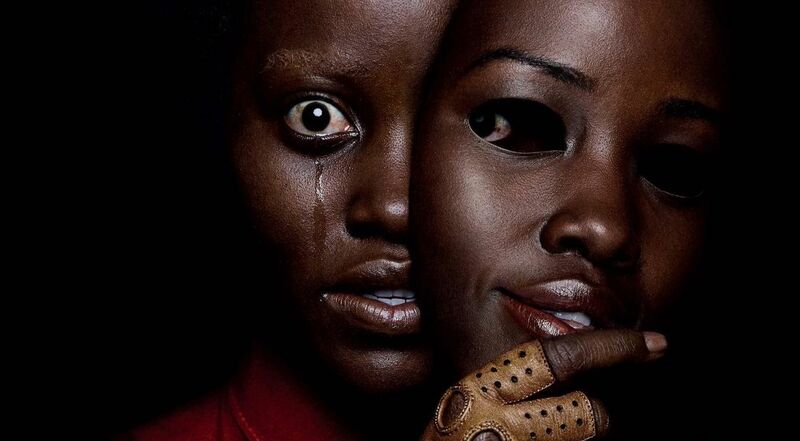 It was made with about five times the budget of “Get Out”, but created in one-fifth of the time. And it shows. All Peele wants you to know going in is that “Us” is about a family (wife/husband played by Lupita Nyong’o and Winston Duke) on summer vacation in Santa Cruz, CA. The couple and their two kids encounter a family that looks exactly like them. Why? Well, the majority of the mystery is actually revealed in the first third of the film. Once that happens, dialogue almost entirely disappears, and “Us” becomes a family survival story – a thin one, mercilessly stretched out to two hours. Unlike “Get Out”, “Us” is a legitimate horror movie. And unlike Peele’s directorial debut, “Us” is not about race or other topical social issues. It’s simply a standard, gruesome, perilous, often ridiculous, over-the-top slasher film. Peele is an avid horror fan. He attempts to put his stamp on the genre with gold scissors as the signature weapon. He also includes many typical elements, including a heavy-handed score and “creative” camera angles. But outside of a few early set-up scenes with Nyong’o, nothing truly special or satisfying emerges. I kept waiting for the moment when everything would come together, and “Us” would become more than just another creepy, ultra bloody, zombie thriller. That moment never comes. Admittedly, I didn’t expect the twist that occurs in the final scene, which, in a small way, saves “Us” from being a 100% one-trick pony. But, the need for a long speech by a key character late in the film, which, basically, explains why and how everything happened, shows that Peele didn’t do his job over the first 95% of the movie. It’s not fair (yet) to say that Peele is a “one-hit wonder”, but “Us” is a classic case of a sophomore slump. Maybe it’s time for the former sketch comedian to “Get Out” of the suspense genre and surprise us, again. 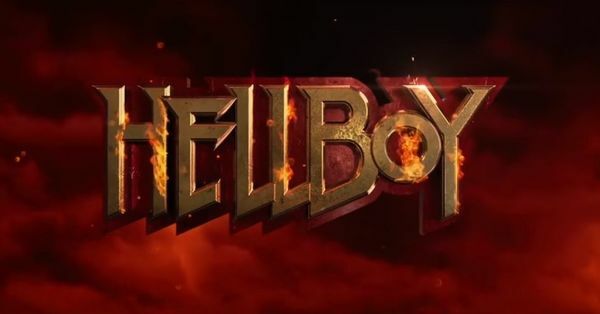 I’ve been to “Hellboy” and back — to let you know that this reboot is one of the worst films of 2019. — Guillermo del Toro’s 2004 and 2008 “Hellboy” movies were beloved by critics and fans. But two minutes into director Neil Marshall’s take the Dark Horse comic, you’ll realize it’s your money that you just burned. I’ll begin my “Shazam!” review the same way I began my “Aquaman” review just three months ago: With the exception of “Wonder Woman”, DC continues to be unable to do the superhero genre “justice”. This time, however, they’ve taken things up a notch. Not only is “Shazam!” poorly made on a number of levels—it’s also highly deceptive. Ladies and Gentlemen, Boys and Girls: You’ve seen quirky Tim Burton movies. You’ve probably seen wacky Tim Burton movies. You may have even seen a great Tim Burton movie. 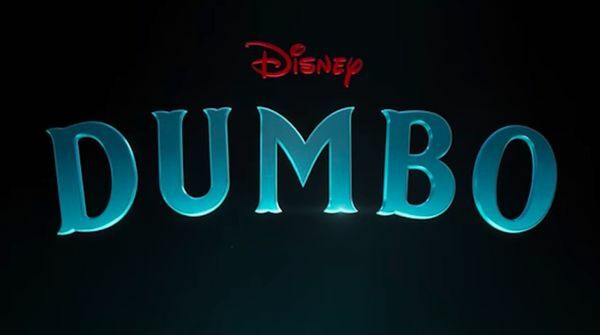 But you’ve probably never seen a strange Tim Burton movie… quite like “Dumbo”.